This half-day program covers the basics of WHMIS 2015, providing the participant with the skills to work safely around hazardous materials. The course is current and up to date with the Canadian legislative changes made on February 11, 2015. 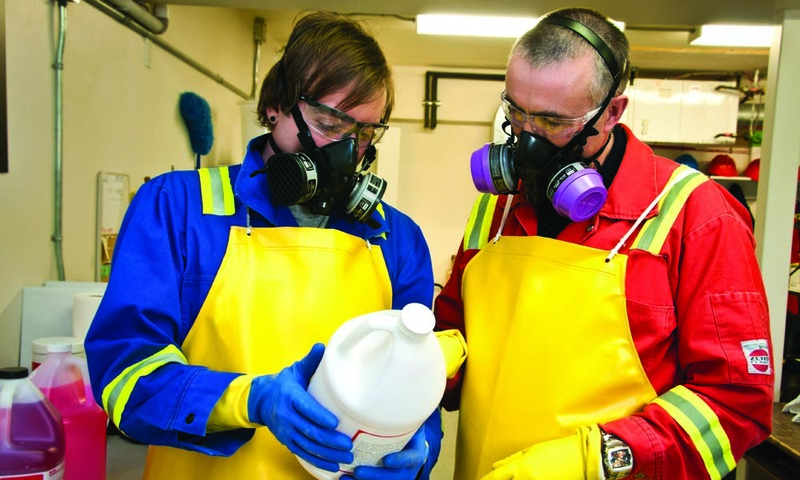 Covering the differences between WHMIS 1988 and WHMIS 2015, the course explains the transition period Canada is undergoing in order to comply with Globally Harmonized systems (GHS). The course covers worker education and workplace labeling, and emphasizes the importance of understanding Safety Data Sheets (SDS’s). The instructor will walk participants through a typical site-specific labeling session. Participants also gain an understanding of labeling systems for pipe, vessels and points of exposure. Understand the responsibilities of the employer, worker and supplier. Identify the WHMIS 2015 and WHMIS 1988 hazard classifications labeling systems. Identify the types of supplier and workplace labeling systems. Understand the mandatory contents, location / availability of and validity period of Safety Data Sheets (SDS) and Material Safety Data Sheet (MSDS). Successfully participate in a team exercise demonstrating proper requirements of the labels. Participants are required to complete a written competency check to minimum 70% level in order to obtain a pass mark.